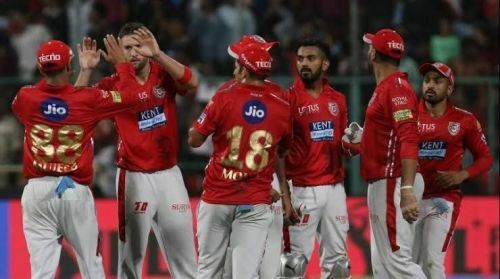 With an aim to get back on the winning track, the Kings XI Punjab will now host the Rajasthan Royals in the 32nd fixture of IPL 2019 at the Punjab Cricket Association IS Bindra Stadium in Mohali on Tuesday, April 16. Head-to-head overall stats: The visitors hold the edge in the KXIP vs RR head-to-head record, having won 10 of the 18 games played. KXIP have won the remaining eight. Head-to-head in PCA Stadium: The PCA has hosted these two teams together in six games, with each of them winning thrice. Previous IPL 2019 face-off: The March 25 Mankading incident was what dominated the conversation the last time these two teams met. The Kings will have a psychological advantage, having registered a 14-run win in that clash. The Punjab players seem to have lost their way a bit after a rousing start. They would be desperate to avoid the 2018 scenario and try to get things back on the track as soon as they can. Chris Gayle led the attack with his 64-ball 99 against the Royal Challengers Bangalore, and he is expected to continue holding the fort against the Royals. Lokesh Rahul meanwhile has a chance to overtake David Warner and become the season's leading run-getter. Mayank Agarwal, Nicholas Pooran and Sam Curran can also inflict plenty of damage on their day, and the skipper will want them to prove their worth against the Royals. Mohammed Shami and skipper Ravichandran Ashwin have been KXIP's most consistent strikers so far, scalping 10 and nine wickets respectively. They might also consider picking Mujeeb ur Rahman for this clash, as Rajasthan Royals don't have a lot of batsmen who are comfortable against spin. Ravichandran Ashwin (C), Andrew Tye, Mohammed Shami, Mujeeb ur Rahman, Lokesh Rahul (W), Chris Gayle, Mayank Agarwal, Sarfaraz Khan, Mandeep Singh, Sam Curran and Nicholas Pooran. The Royals registered just their second win of the season against the Mumbai Indians by four wickets. They will take the field with an aim to avenge their controversial defeat against the Kings XI earlier in the season. The Royals' leading run-scorer Jos Buttler was at his best against the Mumbai Indians, slamming a magnificent 89 to lay the foundation for the Royals win. He will be expected to continue his form against the Kings XI. Steven Smith, Ajinkya Rahane and Sanju Samson are the other important batters in the line-up. They have played their part in bits and pieces during the earlier games, but they will have to give their best and perform as a unit to have any chance against the Punjab outfit. Jofra Archer played a key role in the last game by claiming a three-wicket haul, and he will be expected to attain a few scalps during the powerplays. Shreyas Gopal is their best striker with the ball and has picked eight wickets; the team will back him to increase his tally in the next game. Ben Stokes missed the last clash due to a hip injury, but is expected to make his return against KXIP. He along with Jaydev Unadkat are likely to be Rahane's key men in the death overs. Ajinkya Rahane (C), Jos Buttler, Sanju Samson (W), Steven Smith, Rahul Tripathi, Ben Stokes, Shreyas Gopal, Krishnappa Gowtham, Jofra Archer, Jaydev Unadkat and Dhawal Kulkarni. IPL 2019: Match 4, RR vs KXIP Match Prediction: Who will win today's match? 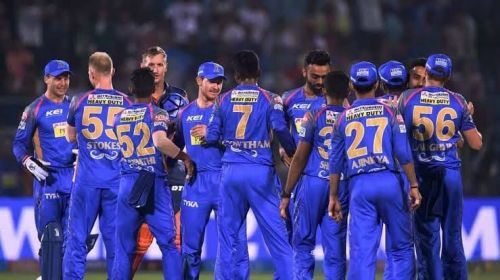 IPL 2019: What is Mankad-ing, and how did it affect the RR vs KXIP match?